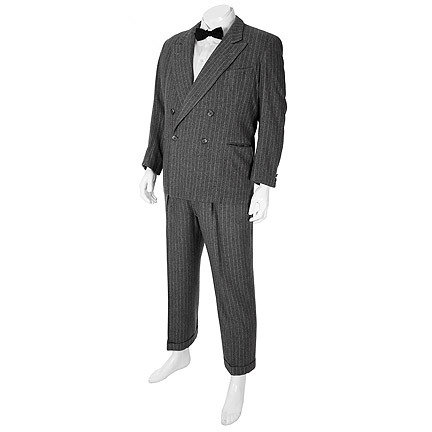 This signature suit was worn by “Fred Sanford” portrayed by actor Redd Foxx in the television series “Sanford and Son”. 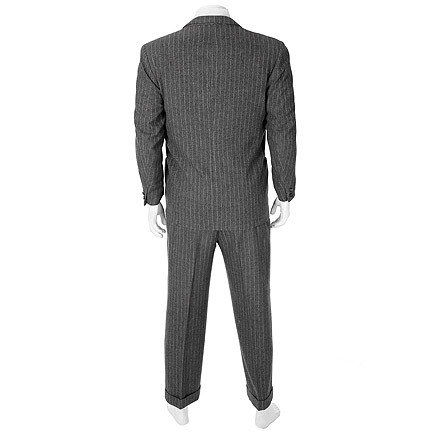 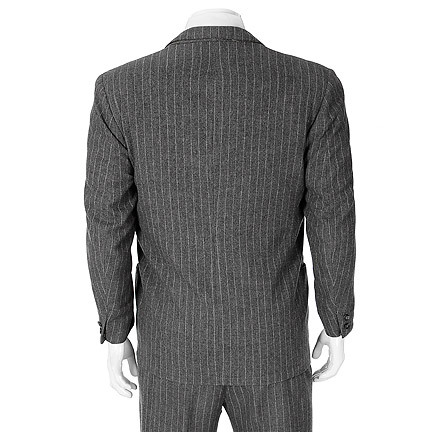 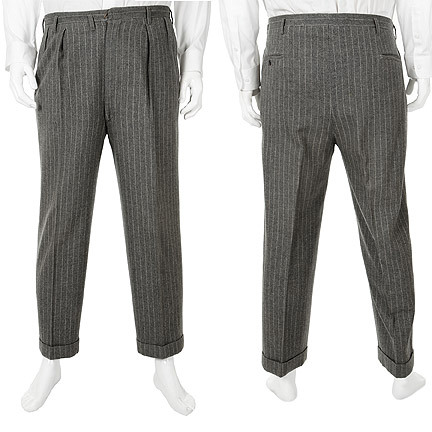 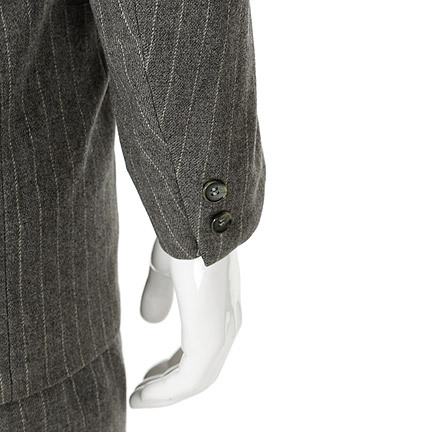 The 1940’s vintage wool two-piece grey pin stripe suit is double breasted with internal Webb’s Men’s Shop, Glendale, California label. 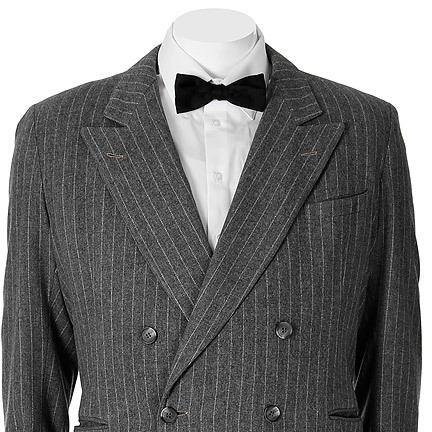 **BOWTIE AND SHIRT ARE FOR DISPLAY PURPOSES ONLY. 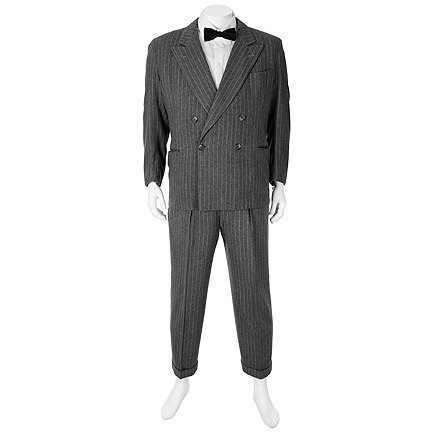 These garments were worn by Mr. Foxx in numerous episodes throughout the series and was part of Fred Sanford’s signature look. 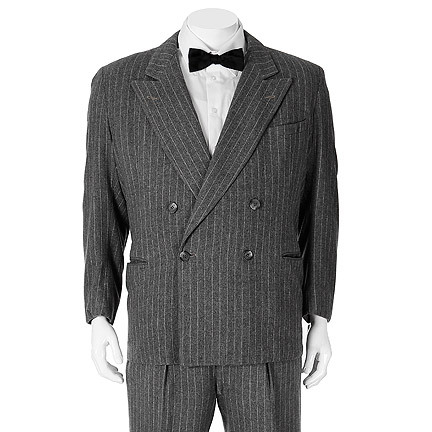 The suit was worn in “Crossed Swords” (Season 1 Episode 1), “Happy Birthday, Pop” (Season 1 Episode 2), “We Were Robbed” (Season 1 Episode 6) and “A Pad For Lamont” (Season 1 Episode 7). 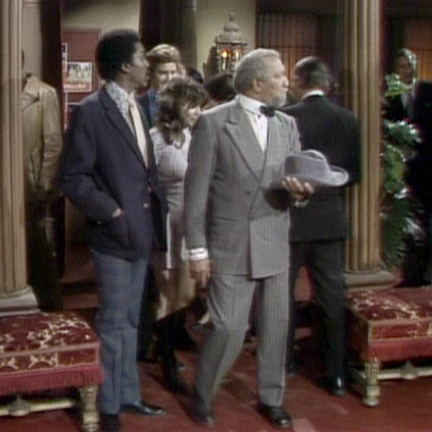 The suit pants were worn without the jacket in “A House Not a Pool Room” (Season 3 Episode 11) and “The Members of the Wedding” (Season 3 Episode 9). 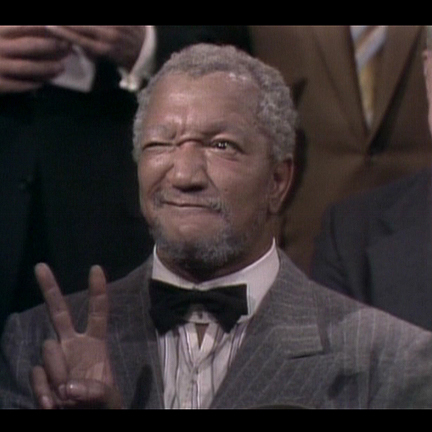 “Sanford and Son” was an American sitcom broadcasted by NBC from 1972 through 1977 and was produced by the legendary Norman Lear and Embassy TV (formerly TAT/Tandem) who are also known for “One Day At A Time”, “Maude”, “All in the Family”, “Good Times”, and “The Jeffersons”. 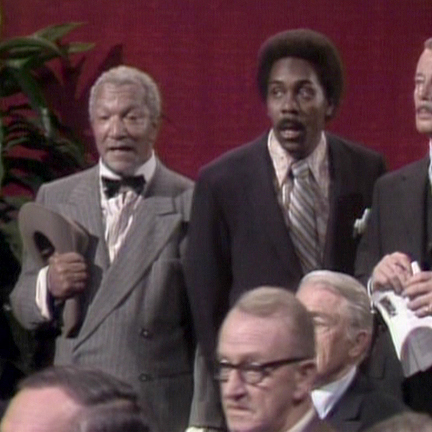 Originally a remake of the BBC sitcom “Steptoe and Son”, the show became a ratings hit during all six seasons, influencing many other African American sitcoms with characters known for their edgy humor, catch phrases, running gags and fast-cash schemes. 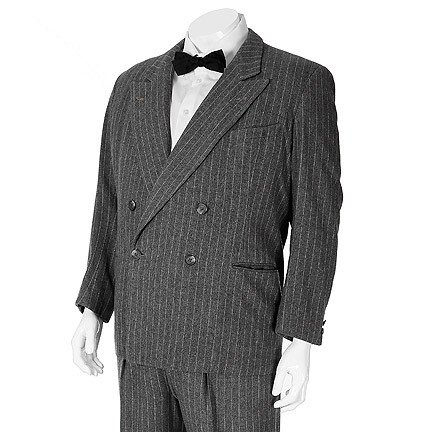 In 2007, “Sanford and Son” was included in TIME magazine’s “100 Best TV shows of All Time.” This item is in good screen worn condition and was acquired directly from the show’s costume designer and head of the Embassy TV wardrobe department.